Tierney say's they're aiming for the "highest rates" of collection. IRISH WATER IS aiming to collect “over 90%” of charges according to managing director John Tierney. Speaking on a pre-recorded interview with RTÉ re-broadcast on The Week in Politics, Tierney said that they will be aiming for “the highest rates (of collection) achieved by other utilities”. “Over 90%,” he added. I think that the Government has already lost its mandate, I think the 100,000 people on the streets in October and the, what I would say over 200,000 people on the streets on the first of November, has shown that the Government has lost that mandate. “I’ve heard Government representatives saying that people are very happy with the charges introduced on Wednesday, I’d love to know who they’re talking to,” he added. Everyone across the political spectrum has said that his frankness and his bluntness in terms of the Irish Water issue has been quite refreshing. The emphasis we’re putting on now from the Environment portfolio in terms of the social housing bill and the way that Irish Water is being communicated is very different to what went before. Barry Cowen also said that the “Government’s credibility is being questioned” because of water charges. “No amount of climbdowns no matter how extensive they are will solve the situation from that perspective, it’s credibility to Govern is greatly undermined by this,” he said. 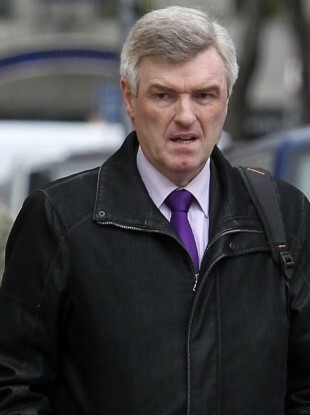 Email “We'll be aiming to collect "over 90%" of Irish Water charges - John Tierney”. Feedback on “We'll be aiming to collect "over 90%" of Irish Water charges - John Tierney”.